Homes in the north-eastern parts of the U.S., like New York and New Jersey benefit greatly from either a three-season sunroom or four-season sunroom. Home owners can add a sunroom to provide a means of enjoying the outdoors earlier in the spring and later in the fall. When attached to a living room or family room, a sunroom can open the house up to the backyard or pool, providing extra space to relax and dine, while casting natural light into the main part of the house and even heat the home—which can significantly reduce energy bills. 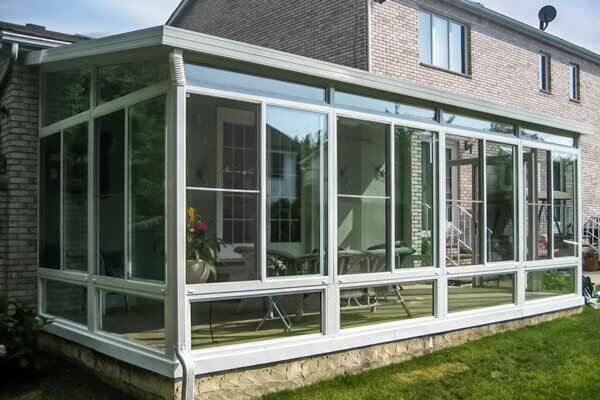 NY NJ Sunrooms and Home Additions has been helping New York and New Jersey homeowners improve the quality and value of their homes for over 15 years! The right sunroom gives your family a perfect way to enjoy sunlight indoors year-round, increasing the enjoyment and value of your home. Whether you're ready to grow your family—or just grow the property value of your home—our home additions are guaranteed to satisfy! Get the most out of city living. 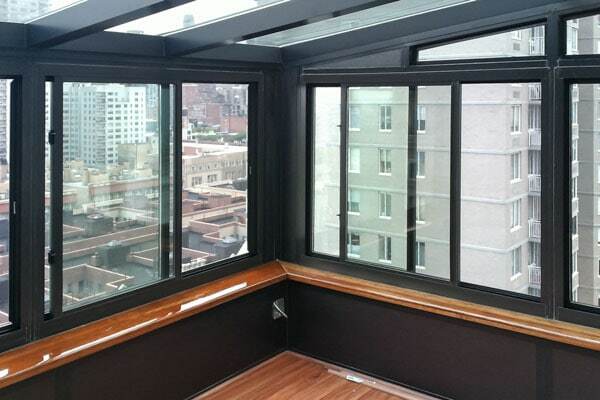 A solarium from NY NJ Sunrooms and Additions maximizes city views, sunlight and living space year round. Want to keep the weather, dirt and unwanted pests away, as you enjoy your pool year-round? 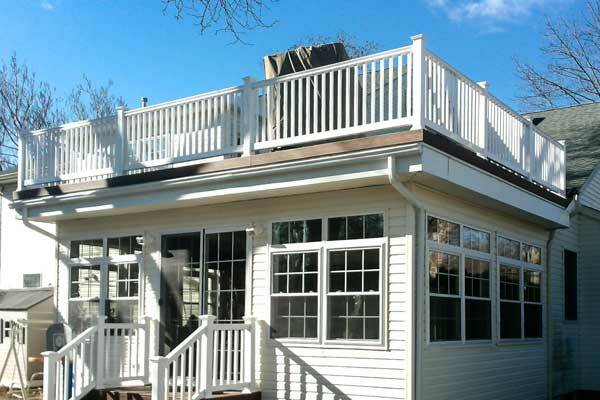 NY NJ Sunrooms and Additions has you covered. The workers were clean and neat, and finished the job quickly. We love the finished sunroom, just what we wanted. Excellent work and very fair prices. 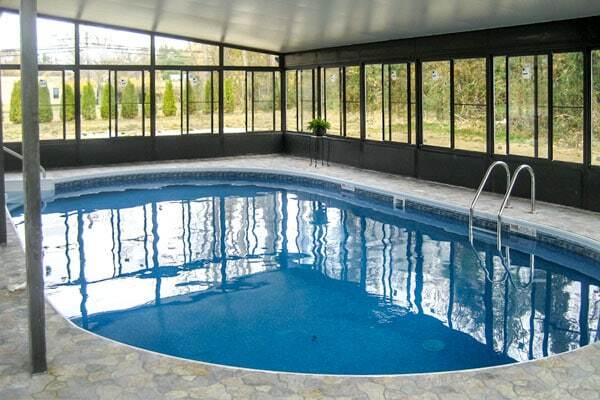 I am very happy that we used [NY NJ Sunrooms and Additions] to build our pool enclosure. If you want to be worry-free before, during and after construction, use [NY NJ Sunrooms and Additions]. The job was done on time with excellent quality. The experience working with [NY NJ Sunrooms and Additions] was excellent. Very professional and reliable. Completed the job within the timeline. Good work for a good price. They were very honest in their work, gave me a good price for the work. NY NJ Sunrooms and Additions did very good work. I was so surprised their price was almost half of other companies. It was very clean job, workers followed all our requests strictly. [NY NJ Sunrooms and Additions] was very easy to work with. They weren’t pushy salesmen and their workers were very polite and hard working.